Getting a mortgage is, by general consensus, the most treacherous part of buying a home. 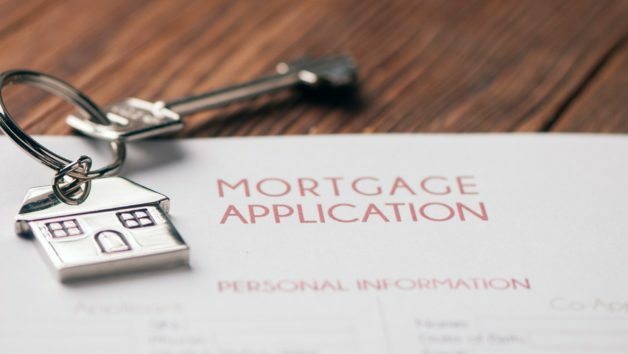 In a recent survey, 42% of home buyers said they found the mortgage experience “stressful,” and 32% found it “complicated.” Even lenders agree that it’s often a struggle. “A lot can go wrong,” says Staci Titsworth, regional manager at PNC Mortgage in Pittsburgh. If you’re out to buy a home, you have to be vigilant. To clue you into the pitfalls, here are six of the most common ways people mess up getting a mortgage. According to the Consumer Financial Protection Bureau, about half of U.S. home buyers only meet with one mortgage lender before signing up for a home loan. But these borrowers could be missing out in a big way. Why? Because lenders’ offers and interest rates vary, and even nabbing a slightly lower interest rate can save you big bucks over the long haul. So to make sure you’re getting the best deal possible, meet with at least three mortgage lenders. You’ll want to start your search early (ideally, at least 60 days before you start seriously looking at homes). When you meet with each lender, get what’s called a good-faith estimate, which breaks down the terms of the mortgage, including the interest rate and fees, so that you can make an apples-to-apples comparison between offers. Mortgage pre-qualification and mortgage pre-approval may sound alike, but they’re completely different. Pre-qualification entails a basic overview of a borrower’s ability to get a loan. You provide a mortgage lender with information—about your income, assets, debts, and credit—but you don’t need to produce any paperwork to back it up. In return, you’ll get a rough estimate of what size loan you can afford, but it’s by no means a guarantee that you’ll actually get approved for the loan when you go to buy a home. Mortgage pre-approval, meanwhile, is an in-depth process that involves a lender running a credit check and verifying your income and assets. Then an underwriter does a preliminary review of your financial portfolio and, if all goes well, issues a letter of pre-approval—a written commitment for financing up to a certain loan amount. Bottom line? If you’re serious about buying a house, you need to be pre-approved, since many sellers will accept offers only from pre-approved buyers, says Ray Rodriguez, New York City regional mortgage sales manager at TD Bank. So if you’re in contract for a home, your money should stay put. If you apply for a new credit card or request a credit limit increase a few months before closing, watch out: Credit inquiries ding your credit scoreby up to five points. So, don’t let the credit inquiries add up. “Worse than the actual hit on your credit score is any pattern of trying to borrow more money all at once,” says Glenn Phillips, CEO of Lake Homes Realty. Translation: Applying for multiple lines of credit while you’re buying a house can make your mortgage lender think that you’re desperate for money—a signal that could change your mortgage terms or even get you denied altogether, even if you’ve got a closing date on the books. Mortgage lenders like to see at least two years of consistent income history when pre-approving a loan. Consequently, changing jobs while you’re under contract on a property can create a big issue in the eyes of an underwriter. Your best bet? Try to wait until after you’ve closed on your house to change jobs. If you’re forced to switch before closing, you should alert your loan officer immediately. Depending on the lender, you may simply need to provide a written verification of employment from your new employer that states your job status and income, says Shashank Shekhar, the founder and CEO of Arcus Lending in San Jose, CA.